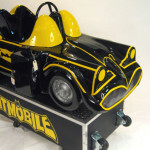 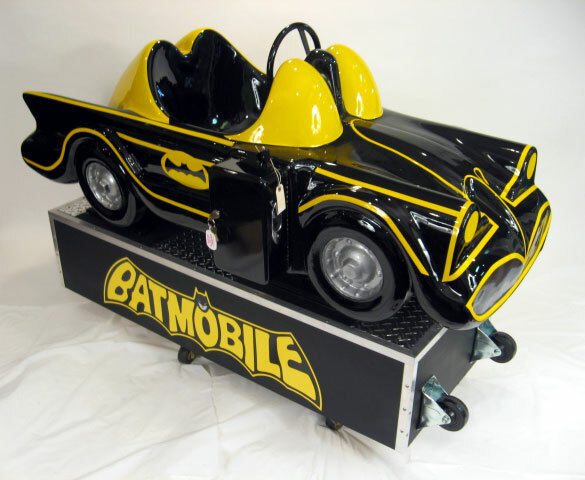 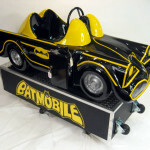 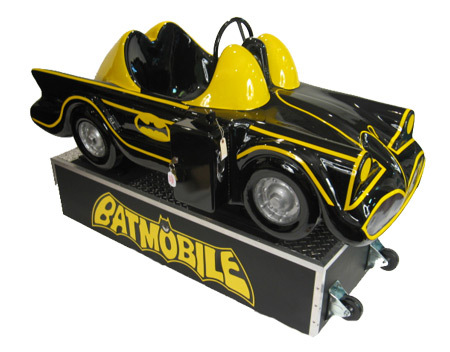 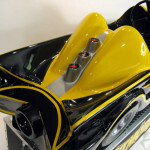 This is an original Batmobile Ride that we restored to better than new condition. 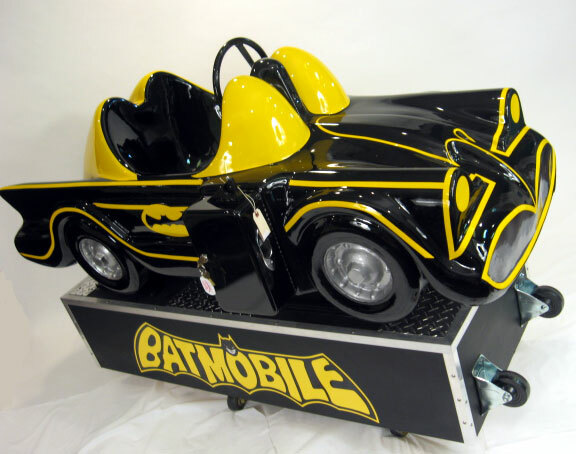 Every kids dream is to drive the Batmobile all day and the person who had this one restored go their wish. 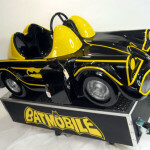 This restored ride features hand painted body with custom made deals. 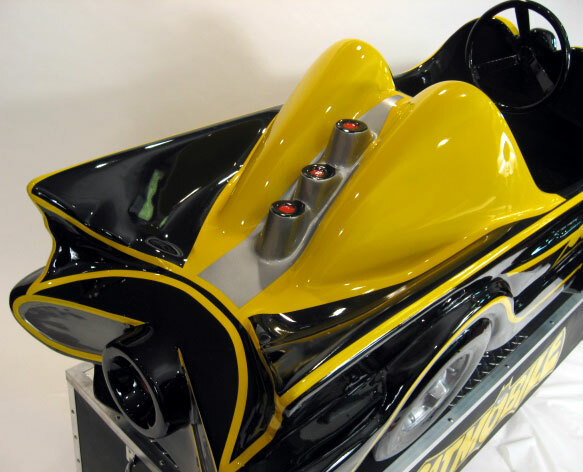 Brand new base and motor. 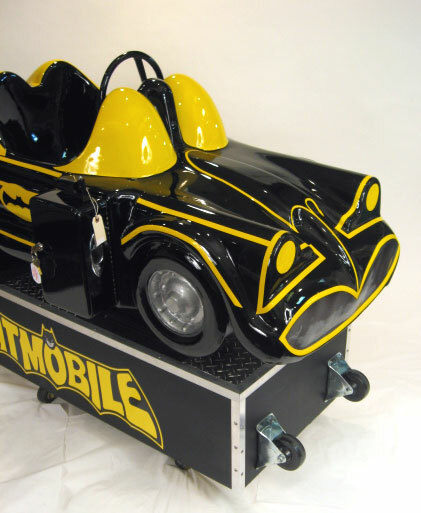 New coin mech that accepts quarters. 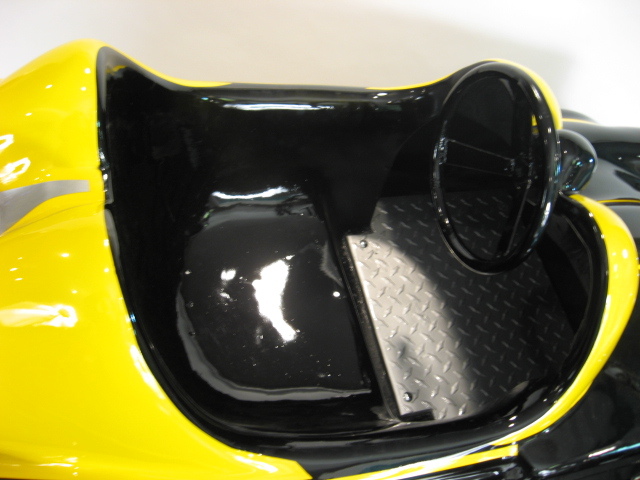 All of our restorations are done to perfection.